PARIS -- Renault faces a criminal investigation over its diesel emissions after French officials passed a file to prosecutors detailing suspicions that the automaker's engine technologies broke the law. The French government said that the DGCCRF consumer fraud watchdog had sent prosecutors the findings of its inquiry into possible emissions test manipulation by Renault. "It is now up to the courts to determine what further action to take over the suspected breaches," the government said in a statement on Wednesday. Officials at the prosecutor's office in Nanterre, west of Paris, were not available for comment. Renault is so far the only automaker after Volkswagen Group to be referred for possible criminal investigation in France. 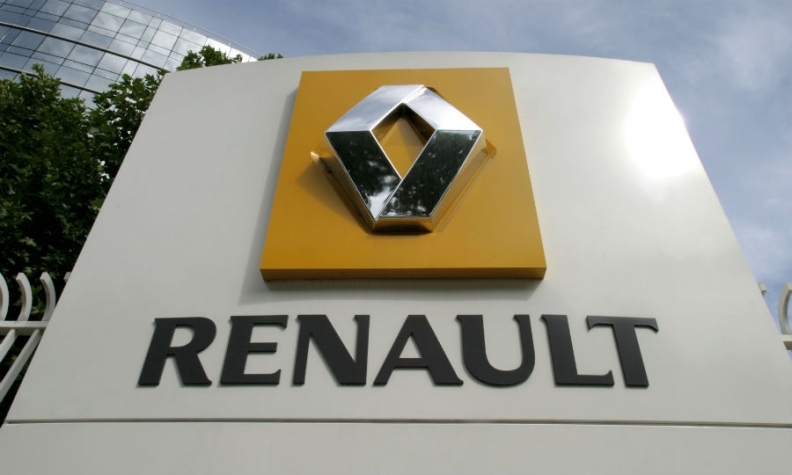 Renault issued a short statement affirming that its engines complied with European law. Following VW's exposure for using software to cheat U.S. tests, Renault and others have attracted scrutiny for their own use of devices that reduce the effectiveness of technology that purges NOx from exhaust. Such devices are calibrated to meet pollution standards during regulatory tests but not in many other conditions encountered on the road, when real emissions are allowed to soar. They are illegal except when deemed necessary to protect the engine - a European loophole that has been widely exploited. Carmakers including Renault, Opel and Fiat told a separate French investigating committee earlier this year that defeat devices in their vehicles were legal under the exemption. But the panel concluded their technical justifications "remained to be proven." Renault had explained the NOx-cutting exhaust gas recirculation (EGR) in its top-selling diesel engines had been found to cause serious turbo clogging problems. Engineers responded by programming the EGR to shut down outside a narrow "thermal window" of air intake temperatures, 17-35 degrees Celsius (63-95 degrees Fahrenheit). While passing regulatory tests carried out at room temperature over short periods, the protocol sends NOx emissions sky-high on the road. The findings now before prosecutors include material seized during police searches at Renault sites, interviews with company officials and results of independent testing carried out on Renault vehicles, an official with knowledge of the investigation said. The prosecutors are expected to carry out their own preliminary inquiry to decide whether to order a formal probe under an investigating judge, which can lead to a full trial. Other unnamed carmakers remain under investigation by the DGCCRF, the government said in its statement. France's environmental regulators began randomly testing vehicles to check differences between lab results and real-world emissions after VW's emissions-cheating scandal erupted. A government investigation revealed on-the-road emissions from Renault and other models that were many times higher than regulatory limits. French officials said in April that some cars it tested had higher CO2 and NOx emissions on the road than in laboratory tests but no "cheat" devices were found. Renault said its vehicles are not equipped with cheating software affecting anti-pollution systems and its vehicles "are all and have always been homologated in accordance with the laws and regulations." "Renault reasserts its determination to enforce its rights to defend company's corporate interest, as well as its employees and shareholders," the company said in a statement on Wednesday.